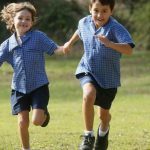 Melbourne school makes shorts and pants mandatory. By Lisa Martin. The Guardian. 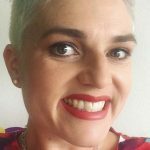 Listen to this interview with Lowther Hall Anglican Grammar School principal, Elisabeth Rhodes. ABC RN Drive. 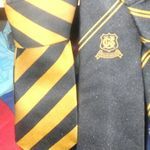 School Uniform Change. Behind The News. 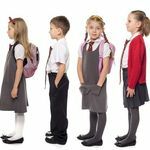 Public school uniform policy changes please parents. By Lisa Tisdell. 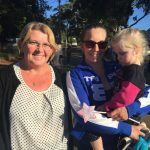 Port Macquarie News. 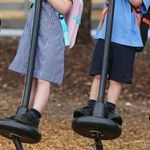 School uniform policy change gives NSW girls option of shorts and trousers. Antonette Collins. ABC News. 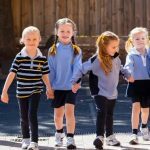 Queensland girls allowed to wear shorts and pants at state schools from 2019. By Michael McGowan. The Guardian. 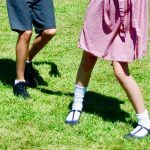 Queensland allows all schoolgirls to wear shorts. SBS News. 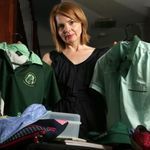 Issue of school uniform goes to the very heart of equal opportunity. 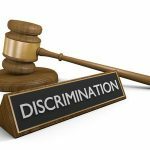 By Dr Niki Vincent, SA Equal Opportunity Commissioner. 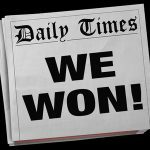 The Advertiser. 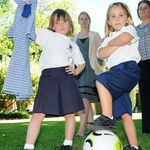 Queensland rewrites school uniform policy to allow girls to wear shorts. SBS News. 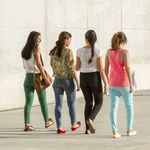 Allowing girls to wear pants at school isn’t a radical step – it’s a practical one. By Grace Campbell. The Age. How the humble school uniform became a luxury branding item. By Eva Dobozy. ABC News. Back to school and back to the same old everyday sexism. By Jane De Graaff. 9Honey. 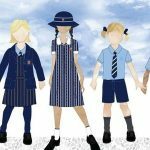 Perth private schools introduce shorts and pants for girls. By Linda Parri. Perth Now. 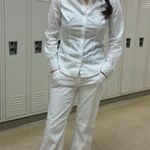 Girlsl should wear the pants. And the shorts. By Saman Shad. The Daily Telegraph. 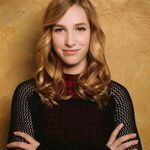 We shouldn’t skirt the issue of schools’ sexist uniform policies. By Ann Mroz. 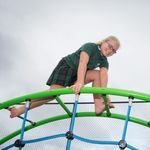 School girl Jacqueline Rousselot asks why she can’t choose to wear shorts and pants to school. 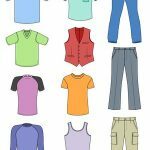 Is it time to introduce gender neutral uniforms? 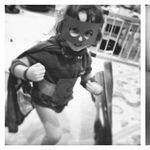 What I wish I knew about choosing the right school, before I chose the wrong one. By Kate Gadenne. 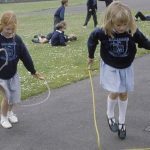 School uniform changes would have a big impact. By Mary Barry, CEO of Our Watch. 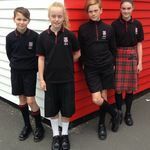 New Zealand school abolishes gendered uniforms, offering same clothes to all. By Eleanor Ainge Roy. Nothing uniform about school uniforms now. By Sue Williams. 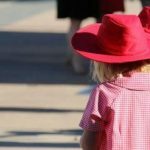 This mum says her daughters’ strict school uniform makes kids ‘suffer’. By Laura Aubusson. 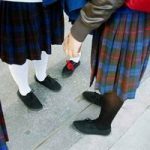 Girls wearing the pants in class, as schools cut skirts and dresses from their uniform. By Laura Dooney and Koren Allpress. 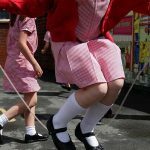 Why schoolgirls should be given a choice to wear shorts as part of their uniform. By Jill Slater. 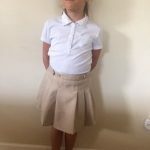 UK state schools get gender neutral uniforms. By Chitra Ramaswamy. It’s 2016. 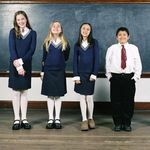 Why are school uniforms gender-specific? By Nicola Heath. 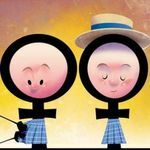 School unifoms: the great gender divide. By Maxabella. 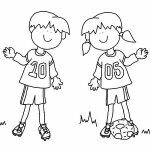 The obvious thing holding girls back from playing sport. By Sam Squires. 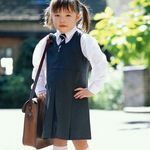 Just wear the dress: What happens when you force a girl into a school uniform. By Melissa Matheson. Nothing uniform about school uniforms now. By Sue Williams. Sydney Morning Herald. 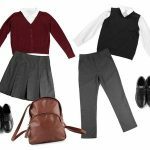 Are school uniforms holding girls back? By Sam Squires. 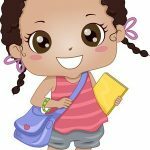 School uniforms and the gender agenda. By Handbag Mafia. 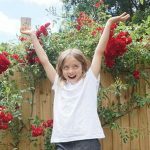 The ‘F’ word, and why I use it around my kids. By Jemma Wlasichuk. 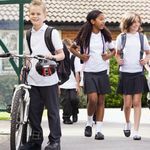 The school uniform police – who should decide the rules around school uniforms? ABC Radio podcast. Girls do want trousers. By Joanne McDougall. 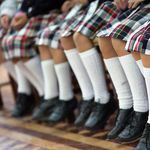 School uniform is a feminist issue, and confining a little girl to a skirt is sheer unkindness. By Rhiannon Lucy Cosslett. 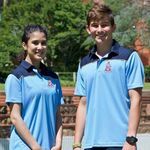 Why the need for a gender divide in school uniform? Or loos? By Laura McInerney. 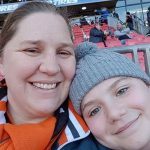 Bathurst public school has the right to feel short changed. By Jenna Price. Why do girls still need to wear dresses to school? By Renee Turner. 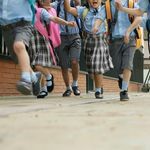 Have you thought about how damaging your daughter’s school uniform might be? By Alice Wilde. Izzy Lindsey-Clark’s campaign for girls to wear shorts to school ends in success. By Jade Grassby. 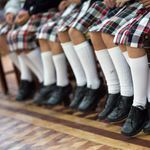 Not wearing the trousers: why do some schools still have sexist uniform rules? By Hadley Freeman. 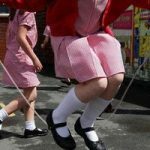 Mothers fight ban on school trousers. By Danielle Sheridan. 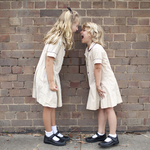 School uniforms enforce gender stereotypes. By Tilda Gregg-Smith. 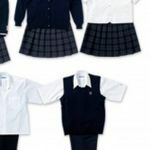 Federal judge forbids charter school from requiring girls to wear skirts. CBS News. These Girls Are Suing Their School For The Right To Wear Pants. By Emily Peck. My school requires all girls to wear skirts. I’m fighting for my right to wear pants. By Keely Burks. 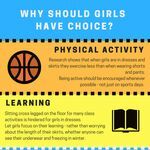 The sexism of school dress codes. By Li Zhou. Girls Wear Pants, Too. By Paula Shay.